Lately, I've been a witness to scenarios of particular interest. Moments in which individuals have the capacity to display courage. Some take it others leave it. Why is this so? I firmly believe that now, more than ever, we need to be bold and full of courage. Easier said than done, right? Yes, that may be so. But if we, as a society, continue to close our eyes to what happens around us and show indifference, nothing will change. On the contrary, things may get worse. Let's not under estimate the power of the individual. If only we shared courage as much as gossip and other frivolities are shared in today's world. 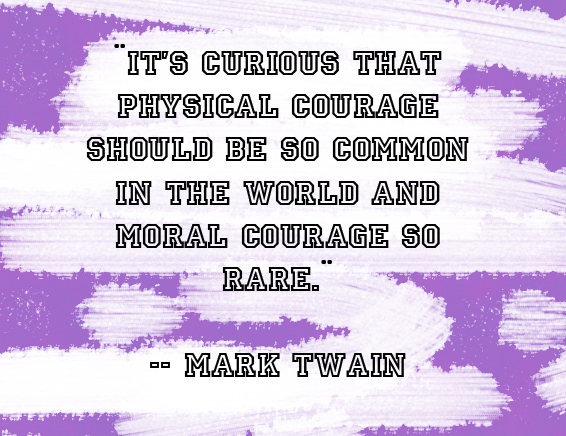 As the week begins this beautiful monday, remind yourself of courage. Give it a try... And if you already practice it, let yourself be a model and inspiration to others!